HVAC/R is one of today’s fastest growing industries. Evolving technology, booming commercial and residential construction, and a retiring workforce fuel the need for skilled HVAC/R technicians. 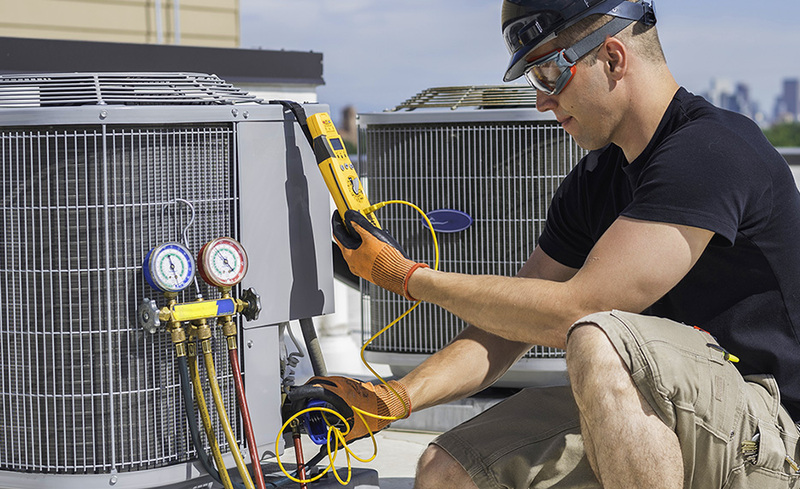 This course prepares you for an entry-level career in the HVAC/R industry by providing hands-on guidance, application, and a solid foundation for service, repair, and solutions. You will learn from relevant material and applicable examples, including a unique Service Call feature and more than 260 supporting photos that bring concepts to life. By course completion, you will be prepared to sit for several entry-level HVAC/R certificates, including all 17 HVAC Excellence Employment Ready Certificates, the EPA 608, and the NATE Ready to Work Certificate. Upon course completion, you will receive a voucher package for the HVAC Excellence Employment Ready Certificate exam and EPA 608. Proctor fees may apply, which are not included. This course is designed for individuals with minimal HVAC/R experience. Not only will you obtain specialized knowledge needed to gain your ‘Ready to Work’ certificates, but you will also be prepared to start an entry-level position. You will learn the fundamentals of heating and air conditioning technology. Topics covered include service and maintenance of packaged and split-type air-conditioning systems; measuring voltage, current, and resistance in electric circuits; concepts of recovering, recycling, reclaiming, and retrofitting refrigerants; and more. With HVAC/R systems and technology rapidly evolving, formal training is now more important than ever. While it may be possible to “get a job” without training in some cases, job seekers who have gone through an intensive course have the advantage. Entry-level technicians with formal training reported stronger job prospects and a clearer path to gaining work experience. Webcam and microphone for testing. There are no prerequisites to take this course. However, we recommend having a high school diploma or GED. If you have the required work experience to take the NATE or HVAC Excellence certification exams, or currently hold Ready to Work certificates and have 2 years of work experience, we recommend our HVAC/R Certified Technician course. Mike Baker has been an instructor since 2011. Previously, he was HVAC Program Director at both Virginia College and Vista College. Baker was an HVAC technician for several decades and has experience hiring, training, and managing HVAC Technicians. He holds numerous HVAC Excellence certifications, several Green Mechanical Council certifications, an EPA 608 Universal certification, and Emerson Climate Technology certifications. He has served as both an HVAC Excellence Instructor and Exam Proctor. Yes, this prepares for the EPA 608 certification. Primarily, it prepares for entry-level certificates needed to enter the HVAC/R industry. You will be able to pass all 17 of the HVAC Excellence Employment Ready certificates, and the NATE Ready to Work certificate. However, you will only be provided with an exam voucher package for HVAC Excellence exam.